In this chapter, Elizabeth A.R. 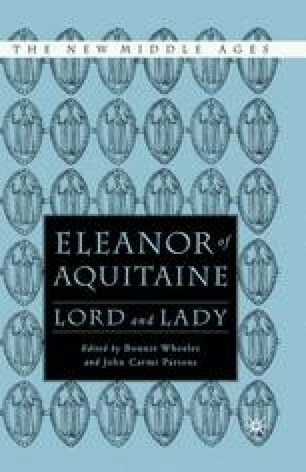 Brown revises conclusions she presented in a study of Eleanor of Aquitaine as parent, patron, and politician which was published in 1916. She focuses on the myths that Eleanor has inspired and examines the artistic, sigillographic, and numismatic evidence that can legitimately be linked with Eleanor.